Athletes have hosted Saturday Night Live since its inception to varying levels of success. 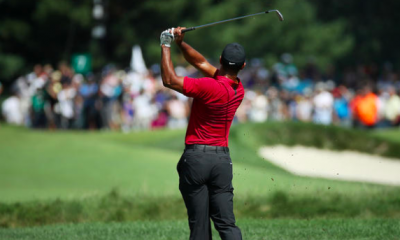 Some, like Jeff Gordon and Michael Phelps were considered some of the worst to try their hands at it, while Peyton Manning and Michael Jordan have been some of the more memorable hosts. Others, like Derek Jeter and Joe Montana have been in good sketches as the host, but were not on the Manning/Jordan level. 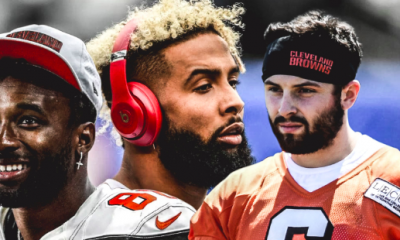 If given the opportunity, Baker Mayfield could exceed the success of Manning and Jordan. Baker has already shown the ability to lampoon others as well as his willingness to be put in funny conditions. During Hard Knocks, Baker famously dressed up as GM John Dorsey and did a very funny impression. 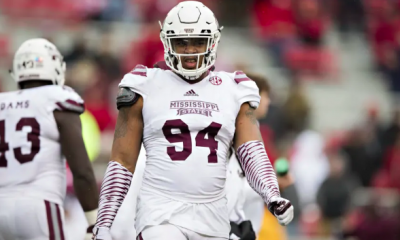 While it may not play as well to a national audience who is unfamiliar with Dorsey, I can already imagine the situations that Baker can play Dorsey in. 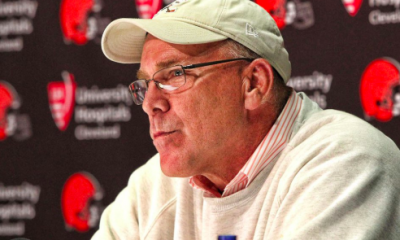 Maybe he could be John Dorsey in a regular job like a marriage counselor or shoe salesman with his classic gum chewing and finishing every sentence with the words, “buddy boy” or he could play Dorsey while doing a “Family Feud” sketch. Last week Wednesday, Baker appeared on the James Corden show and played “Nuzzle Whaaa?” where he and Corden were blindfolded and had to nuzzle something and figure out what it was. While I was concerned for his safety when they brought out the emu, Baker showed great enthusiasm and his reactions definitely made the strange bit, funny. There have been many sketches on SNL over the years that require the host to leave their comfort zone which Baker has shown he clearly can do. Completing the trifecta, Baker did a skit with Cooper Manning on Fox’s NFL Sunday program. 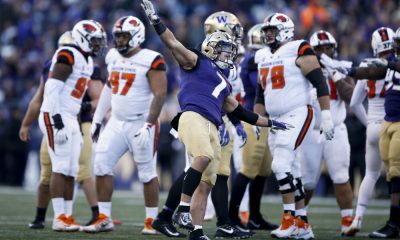 Baker showed his comedic timing and had some good double entendres. A line or two against former coach Hue Jackson definitely pumped up Browns fans who were watching. Baker displayed a good level of self-awareness which is an important aspect of being a host on SNL. These three points help illustrate that Baker has the ability to be an excellent host of SNL. 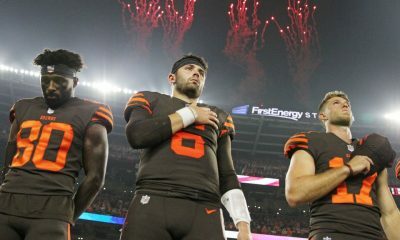 A few sketches that I would love to see Baker be a part of would be the John Dorsey stuff mentioned above, perhaps Baker could do an impression of Colin Cowherd giving Baker a hard time for silly things (like Colin does on his show) and finally, Baker getting to be himself during “Weekend Update” making jokes about the other teams in the division as well as Hue Jackson. 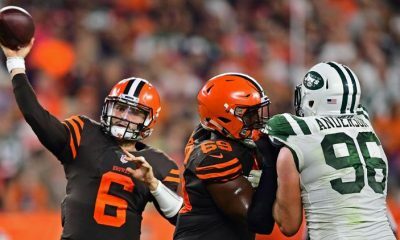 Additionally, since SNL is taped in New York, Baker could throw some shade towards Giants RB Saquon Barkley and Jets QB Sam Darnold. Who wouldn’t tune in for that? There is, however, one thing that could ruin this idea: The opening monologue. In the opening monologue the host typically makes some self deprecating jokes. 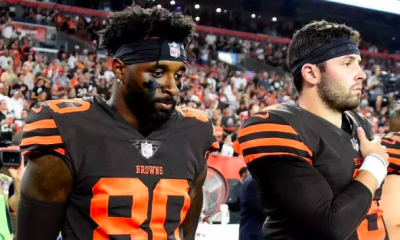 I could imagine some of the writers trying to put in some lines about Cleveland and their perceived ineptitude, that the fans of the team wouldn’t take as a joke and Baker may not be willing to say. Bad opening monologues could ruin an entire show and that would be disappointing. One final thought as to why Baker Mayfield should host SNL is that it would be great for their ratings. Browns fans would be glued to their televisions to get a glimpse of Baker. Additionally, anyone who doesn’t like him would watch to see him possibly fall flat on his face, which is a definite possibility during a live television program. 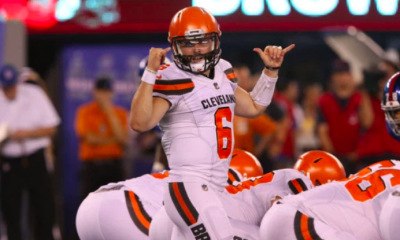 Whether Baker gets the opportunity to host Saturday Night Live or not he is poised to have an amazing sophomore season in the NFL and at the end of the day, that’s all we really want (although SNL would be super cool)!